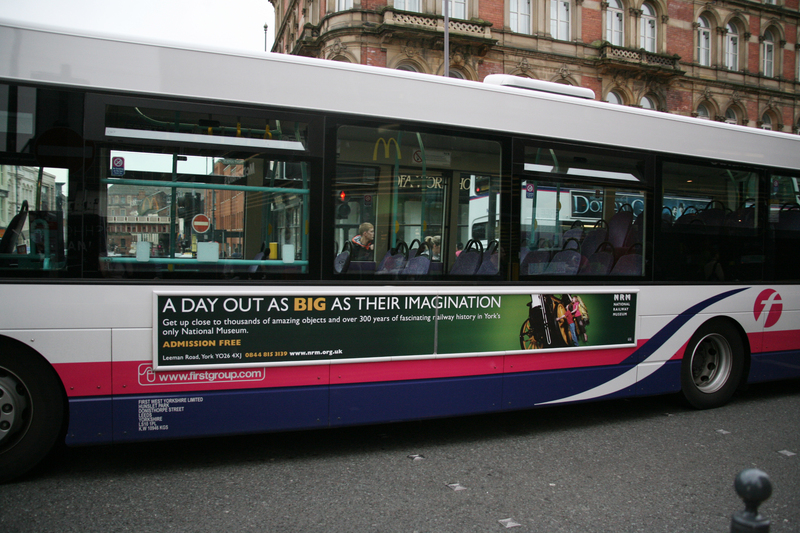 Bus advertising delivers a high impact, large format, advertising message to people during their normal daily routine. It provides an important reminder of a sales message in the geographic area the business operates in. Bus campaigns run in multiples of 4 weeks. The price for the campaign is comparable, and in many cases less than those for a shorter campaign on other local media options. The average ‘dwell time’ for a bus rear is 48 seconds! This is one of the longest of any media. If you can see the advert, then so can thousands of others....many of whom will be your potential customers! A visually creative design using a simple call to action will not only increase awareness of your product and service, it will also drive traffic to your website, creating more enquiries. Get your advertising message seen and noticed! 87% of the UK believe that buses play an important role in the local community. As such they are noticed and used by large numbers of people. Most towns either have a bus depot in the town, or are on one of the routes with a regular timetable. This means that advertisers can build frequency and coverage very quickly getting their message seen and noticed. 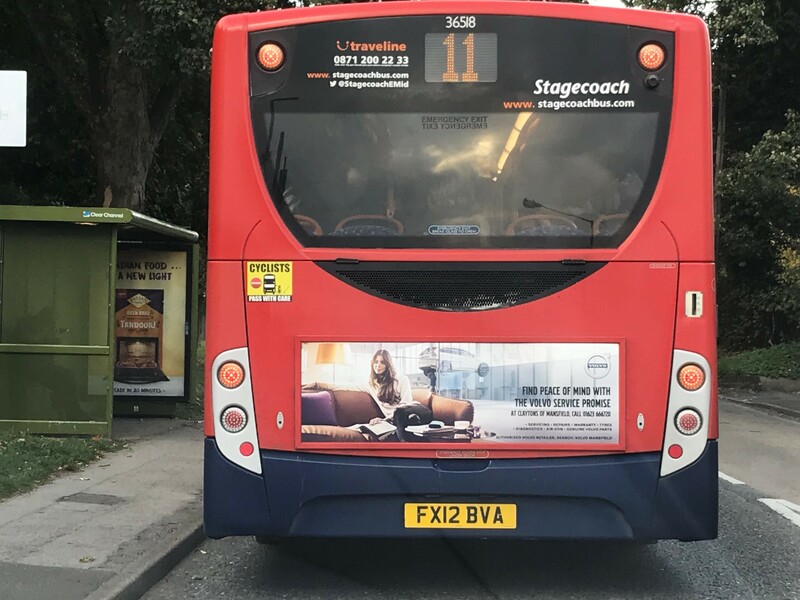 Bus rear - the typical advert size is 2' x 5’. The average dwell time is 48 seconds. Mega-rear - this is where either a single or double deck has the whole back covered with a vinyl advert. The average dwell time is again 48 seconds. Street-liner - the side of a single deck with the typical advert size being 2' x 13'. The average dwell time is 13 seconds. Super-side - the side of a double deck. The average dwell time is 13 seconds. T-side - on the drivers side of a double deck only. This is typically used when an advertiser has a visual creative such as to promote a film. The average dwell time is again 13 seconds. Passenger panels - adverts running on either side of the inside of the bus. We ensure your campaign has all three, giving it every chance of working. We handle the whole process for you, ensuring you get the right campaign to suit your specific requirements, every time. We check the availability of relevant sites in your target area and book the campaign that is right for you. We work with trusted partners to produce the most effective visual for your message. All campaigns are bespoke as they are tailored to fit a specific client brief. 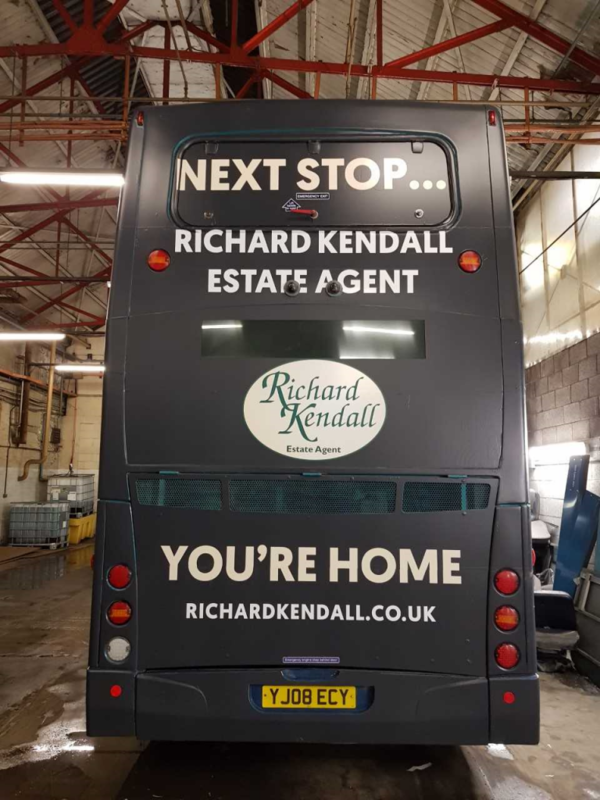 As such it is difficult to give a price for bus advertising at this stage. However, be assured, it IS a very cost-effective way to promote your business. 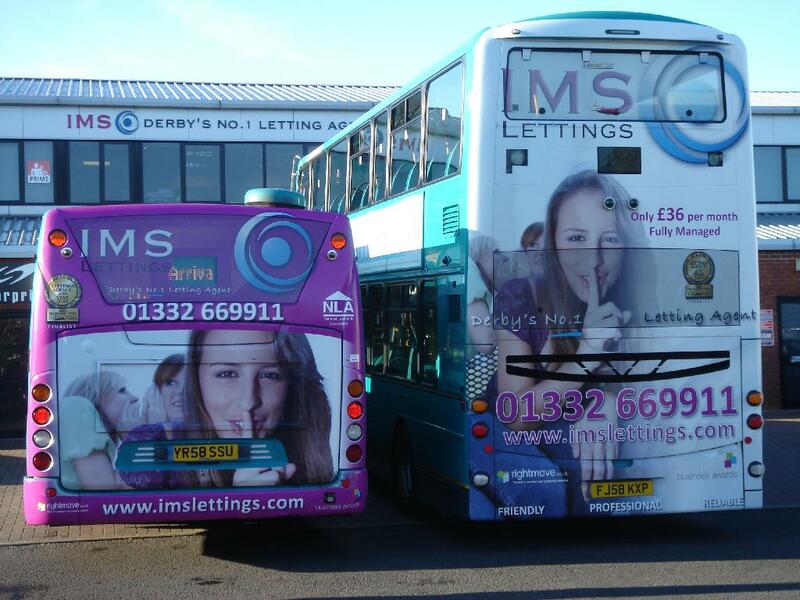 For more details on all Outdoor opportunities, including bus advertising, contact us TODAY. 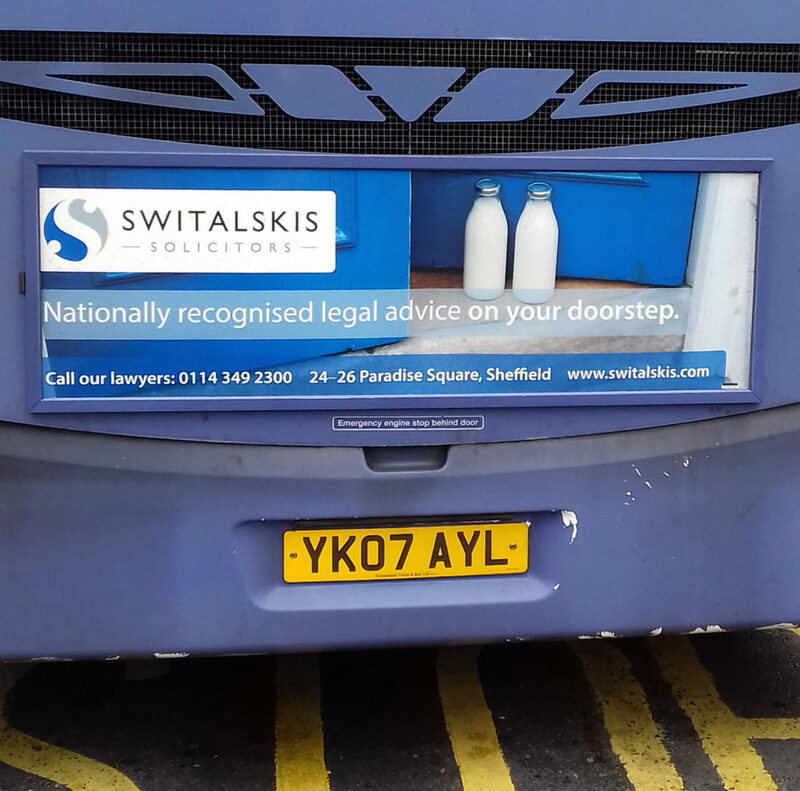 We were contacted by the marketing department of Switalskis to help as they were looking at an outdoor campaign to help raise the profile of their new Sheffield practice. Initially we put forward both a billboard and bus campaign. This was narrowed down to a bus campaign as this gave them the best coverage for the budget. The campaign consisted of 20 x rears for a 12 week campaign running out of the Sheffield bus depot.